When Brian Cornell became CEO of Sam’s Club in 2009, he had just spent a successful two years as CEO of Michaels Stores, an arts and crafts retail chain. 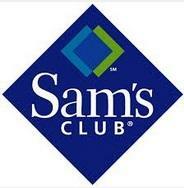 But he had never run a membership warehouse company like Sam’s Club, a unit of Walmart. Cornell, a lifelong learner with the ability to dig for information in a nonthreatening way, started quizzing Sam’s Club employees and customers. As the new guy in charge, he knew he needed to present himself as an open-minded seeker of information. Cornell realized that employees might perceive his questions as thinly disguised directives. So he began by clearly stating that he was new to the position and wanted to learn. Eventually, Cornell collected enough data to formulate a plan to reverse the warehouse club’s slipping sales. He then worked with his management team to develop a long-term strategy for im­­prov­­ing the business. He tested it at a regional level, refined it and then expanded it to encompass the entire operation. He then held a series of town hall meetings with em­­ployees where he asked for their feedback on the unfolding strategy. But he was repeatedly greeted with silence. Chagrined, Cornell began to speak in simpler language so that the strategy “could be easily cascaded,” he says. Once he did that, people embraced it. — Adapted from Grounded, Bob Rosen, Jossey-Bass. High gas prices: Are you helping to ease employees’ pain?